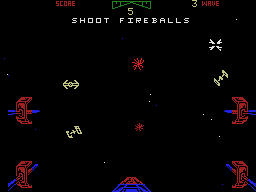 Star Wars is a first-person shooter based around the final scenes of the original Star Wars film. 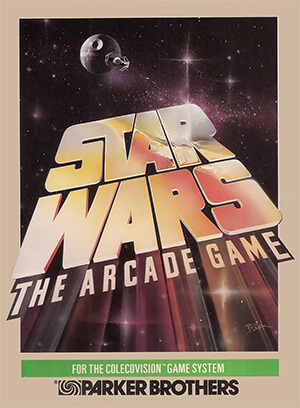 It first appeared for arcade coin-operated machines and was subsequently converted to other gaming platforms. 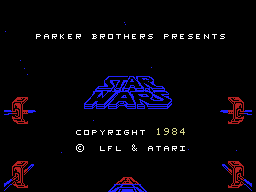 You take on the role of Luke Skywalker, aiming to destroy the Death Star. 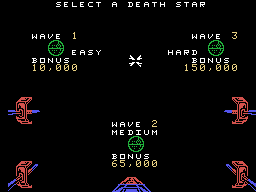 In the first phase you have to pass swarms of TIE Fighters, including dogfighting the one piloted by Darth Vader himself. 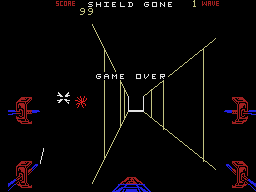 In the second phase the station's surface is protected by laser towers, third involves attacking its weakest spot - the unprotected exhaust port - with proton torpedos. Your X-Wing starts with six shields, but more can be awarded for good performance. 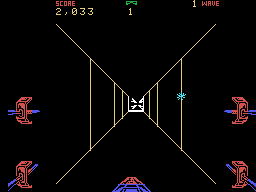 Complete the game and it loops back around at ever-increasing difficulty. 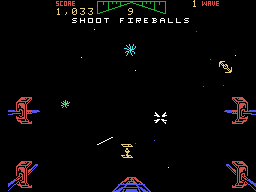 The game uses vector graphics, which allow lots of action at high speed on comparatively slow systems.